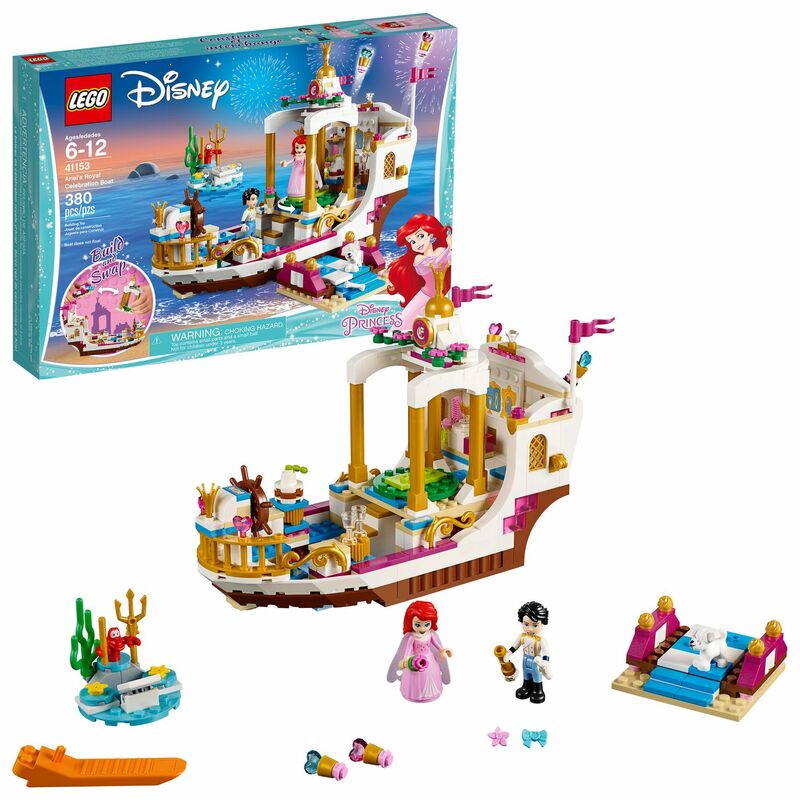 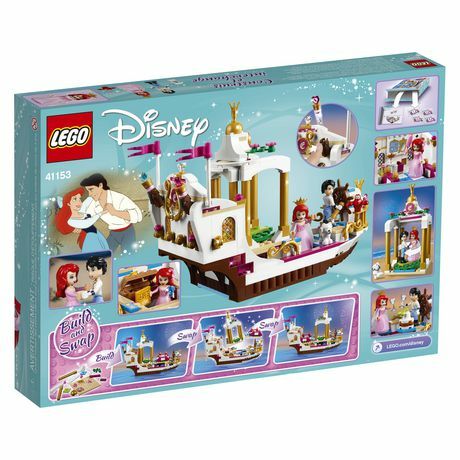 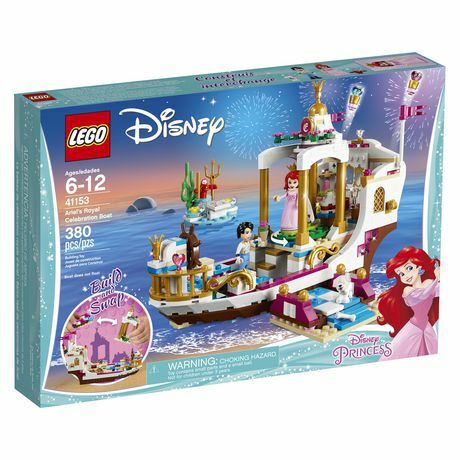 • Ariel’s Royal Celebration Boat features a gazebo with revolving dancefloor, ship’s wheel, vanity desk and firework launcher, plus a dock and Sebastian’s island with turning starfish decks. • Accessory elements include a cake, glasses, crown, treasure chest, jewel, telescope, Ursula’s contract tile, trident, hair bow, bone, firework pieces and a perfume bottle. 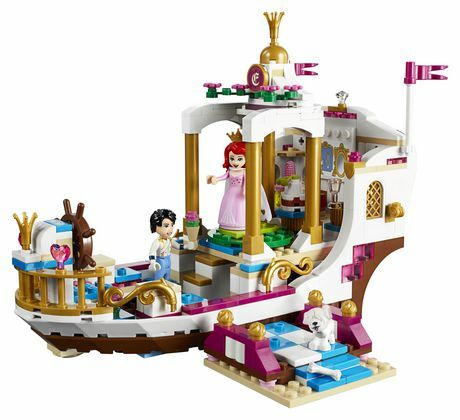 • Recreate the final wedding scenes from Disney’s The Little Mermaid on this ornate boat full of features and secret places. 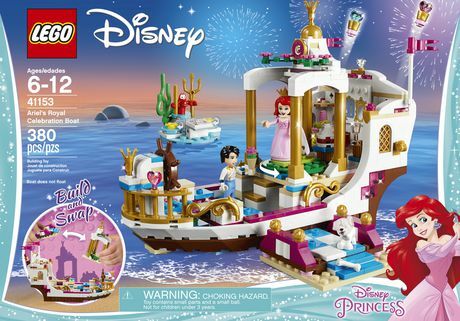 • Spin Sebastian’s starfish and help Eric and Ariel dance on the revolving dancefloor, then launch the colorful firework pieces as the celebrations continue! 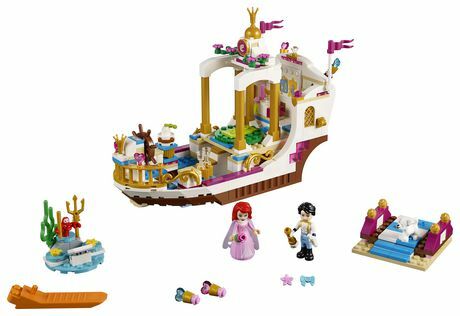 • Sebastian’s island measures over 1” (4cm) high, 1” (4cm) wide and 1” (4cm) deep.